Looking for an unique arrangement to make a big impression and enhance the joyful moments in their life? 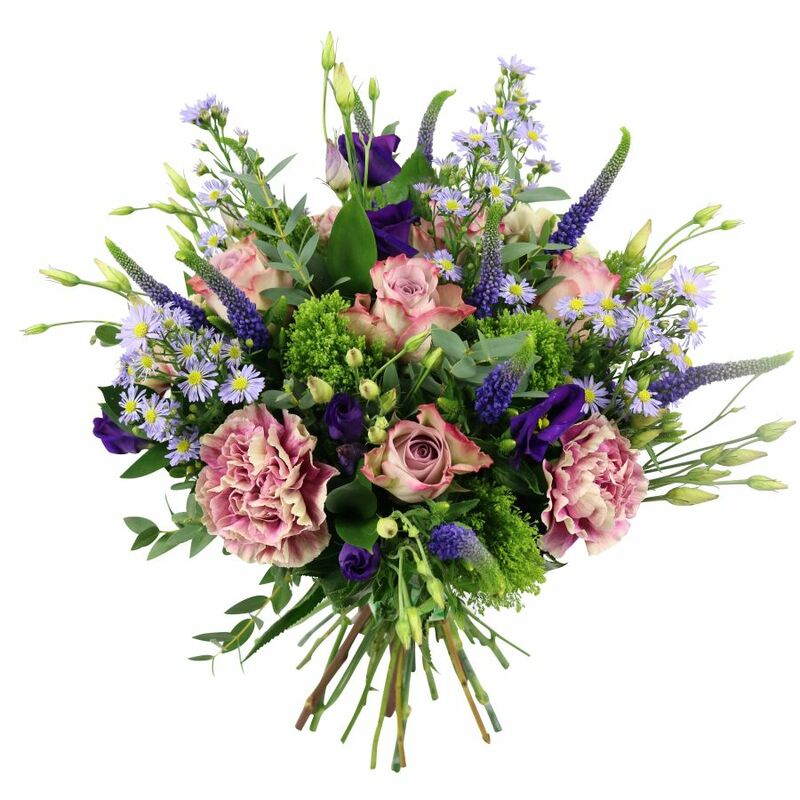 Here is the perfect bouquet to cheer them up with the help of delightful roses, carnations, veronica, asters and lisianthus. Fanciful and sweet! These adorable get well flowers are just what the doctor ordered, even if I did send them to myself lol. Nevertheless, they made me feel much better, and added a bit of life to the room. I found the flowers delivered from Handy Flowers to be exceptional in quality. The bouquet was not only stunning, but generously packed with flowers, no empty spaces. I was also impressed with the speedy delivery. 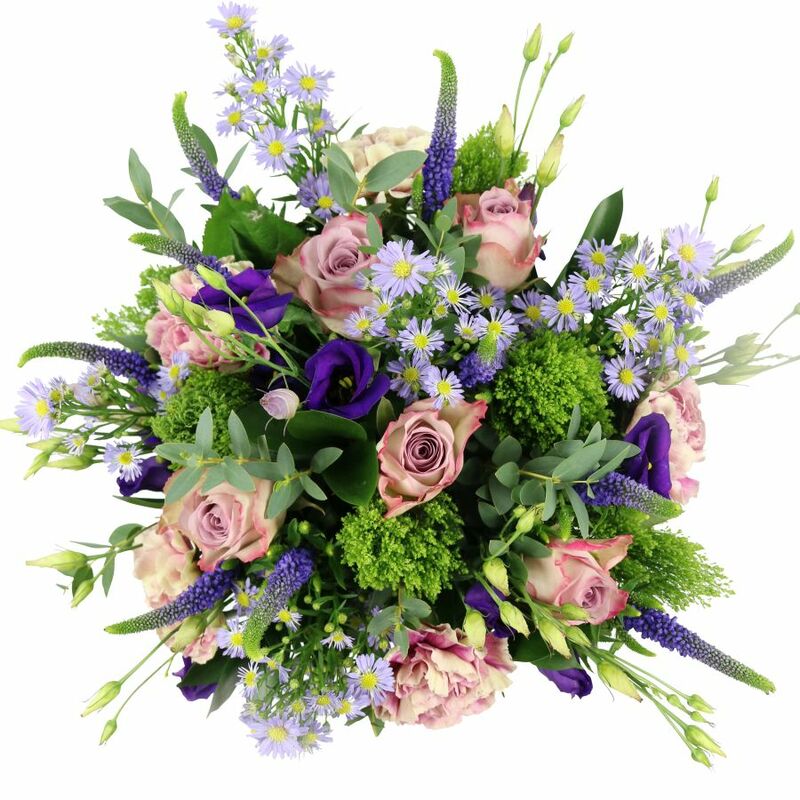 Overall, I give this florist a high rating for product quality and delivery speed. I needed some advice on the best option, and the team recommended this flower arrangement, I'm so happy they did, it's wonderful. I stumbled upon your site and your flowers are stunning. The arrangement is perfect. What an amazing bouquet! I couldn't wait for it to be delivered and got quite happy with it! Sometimes you just need to speak with a professional to make the right decision. The team helped me choose the best bouquet for my fiancee. Totally recommend them!